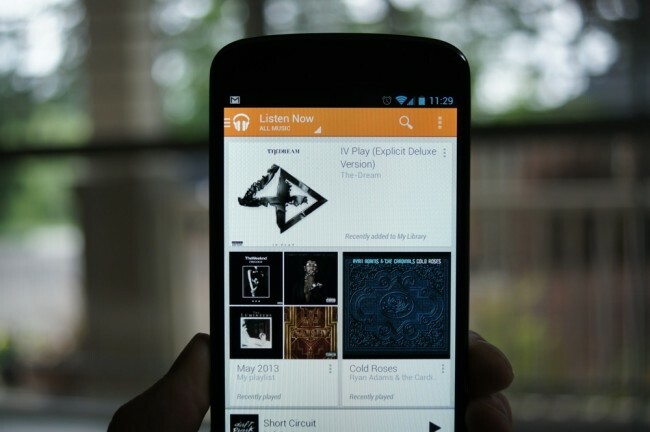 In the weeks following the announcement of Google Music All Access, we wrote up a piece detailing a semi-serious issue that could arise should someone use the service alongside their tiered data plan. Since the new music service lacked any sort of data usage or bandwidth controls, one could gobble up massive amounts of data in no time at all without even realizing it. By bringing the issue to light, we hoped for a change to the app from Google that would give users better control over bandwidth usage. An update to solve this problem has arrived today. 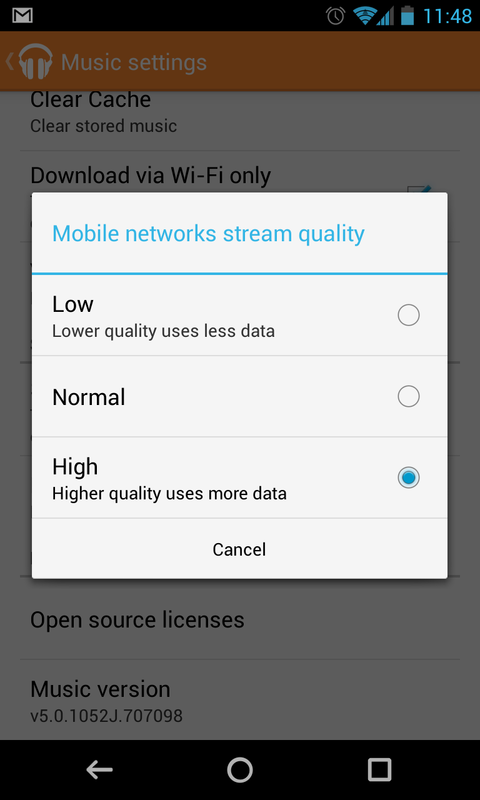 In the newest build of Google Music, a setting to control bandwidth usage over mobile networks has been introduced, along with a reduction in data usage overall. 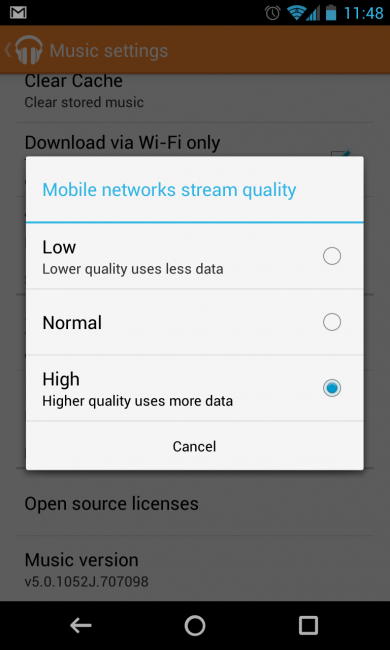 They also made on-device music downloads faster, and improved search quality. Of course, the update is under a staged rollout, so it’s not available to just everyone at this time. I guess we all need to learn patience.